Hi there, i’ve been asked to create a comprehensive list of differences between operating as a sole trader and limited company. If you have any questions on the below feel free to leave a comment in the comments section at the bottom and I will get back to you. A limited liability company (LTD) is a legal entity recognised as being separate from directors and shareholders. Directors and shareholders are not held personally responsible for the company’s actions unless there is proof of intentional criminal behaviour involving things such as fraud, corporate manslaughter, etc. Directors and their companies can be held jointly responsible for certain criminal acts. The sole trader and his/her business are considered one and the same entity. The sole trader is personally liable for all the financial obligations associated with the company, though traders can insure themselves against such liabilities to some degree. Operating a business as a LTD has certain benefits, including the ability to hire outside of immediate family members and giving the image of being a much larger company. The trader and company are the same legal entity. The LTD is an entirely separate legal entity. The sole trader is the business owner. The LTD director is a shareholder who holds all or a portion of the company’s capital. The sole trader is also the proprietor or business manager. The LTD director serves the company as an officer, just like the treasurer or secretary. Sole traders are treated under the law as self-employed. A sole trader cannot be his or her own employer. Sole traders are included under proposed anti-avoidance provisions intended to end abusive tax arrangements. Sole traders pay Class 2 and Class 4 National Insurance and income tax on all business profits. Partners pay the same, but only on their share of profits. LTDs pay corporate income tax on all taxable profits. Corporate income taxed is lower than the personal income tax paid by sole traders. Company officers and employees are subject to individual income tax, NICS, and PAYE. Income tax is assessed on dividends earned by shareholders. Business losses are counted against your total income. Business losses offset company income but not the individual income of officers, directors, and employees. Gains may be withdrawn as cash with no effect on taxes. Gains withdrawn from an LTD are taxed as dividends if paid as distributions, or subject to NICS and PAYE if paid as earnings. Generally speaking, employee benefits received by directors and their families are taxable. Sole traders’ business bank accounts are their own; they can borrow from them. If withdrawals result in account overdraft, tax relief relating to bank charges and interest are restricted on any amounts counted as part of the overdraft. The company pays a 25% charge. The director will be assessed a tax charge if the loan is provided interest-free. Sole traders are only eligible for personal pensions. LTDs can offer more generous company pension schemes with more benefits and fewer limits. LTDs can hold company assets in a SIP, SAS, or other unapproved pension scheme. Sole traders facing insolvency are personally liable for all company debts; the same holds true for partnerships. Both sole traders and partners can face bankruptcy in addition to insolvency. A failing LTD limits the liability of directors to the unpaid shares they possess except when a director personally guarantees company borrowing. Directors of failed companies assume personal responsibility if they continue trading even after insolvency; this could result in personal bankruptcy. Sole traders are not required to prepare accounts for tax purposes. Doing so may still be a good idea for keeping track of business finances, debt collection, profit and loss, etc. Keeping annual accounts including a balance sheet may be necessary for personal tax purposes. 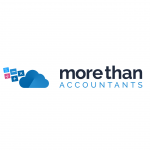 A basic accounting format is available for sole traders operating below the VAT threshold. Sole traders do not submit accounts to HMRC except in cases of official investigation. Generally Accepted Accounting Practices are used to figure taxable profit for the Assessment, unless cash accounting is being used. Under the Companies Act, LTDs must prepare annual accounts that are filed with Companies House. Full accounts for corporation tax must be prepared and submitted online to HMRC. All accounts must be prepared using accounting standards. Any profits realized through the sale of the business or its assets are taxed under capital gains tax rules. Disposal of business assets or a partial interest in the business may also be taxed as capital gains. The sale of an LTD or its assets results in Corporation tax on any profits as well as taxes on shareholders for any distributions or proceeds they might receive. Tax rules sometimes make it more beneficial to sell the shares of an LTD rather than the business itself or its assets. Company shares can be given to others as gifts. A company director owning more than 5% of an LTD may qualify for less costly capital gains tax on gains of up to £10 million. A sole trader’s business ceases at the point of death. The business can be passed down in all or part. Any business that is a qualifying trade will also qualify for business property relief for inheritance tax purposes. An LTD continues to exist even after its director dies. Unless an LTD engages primarily in investment activities, its shares qualify for business property relief for inheritance tax purposes. Inheritance tax relief does not apply to any outstanding loans made to a deceased director. Any director assets held outside of the LTD qualify for 50% business property relief. Sole traders can withdraw any amounts as personal income. For tax purposes though, the law does not consider such withdrawals as employee pay. Any monies paid to a spouse or family members as salary must qualify under tax law as commercially justified. LTD directors are not restricted in the amount of salary they receive. All money paid as salary is subject to NICs and PAYE. Expenses incurred wholly and exclusively for the purposes of trade qualify for tax relief. Expenses for which only a portion are incurred for the purposes of trade qualify for tax relief of that portion. The remaining portion under the previous example must be accounted for with a ‘private use’ adjustment for taxes. Common private use items include things like telephone, utilities, and vehicle operations. 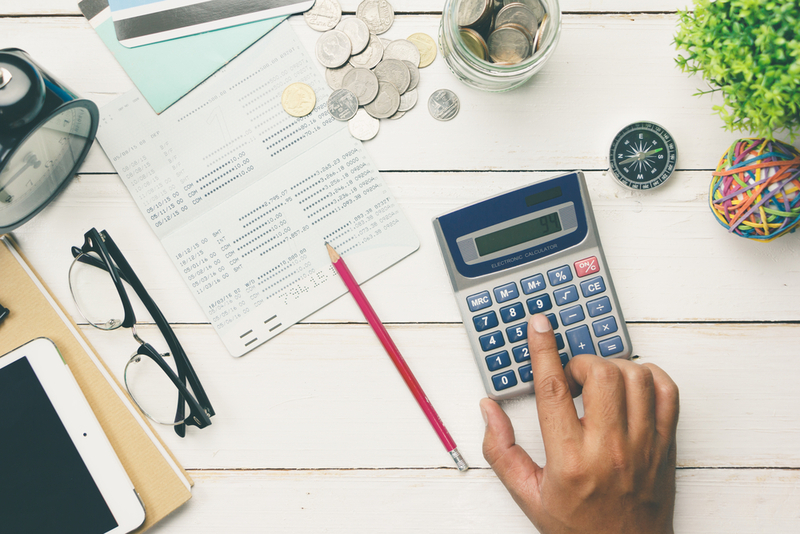 Personal expenses incurred through the company are treated in one of two ways: they are considered earnings if incurred by directors and distributions if incurred by shareholders. Sole traders and partners are eligible to claim capital allowances on a car, but only up to that proportion used wholly and exclusively for business purposes. Sole traders are not eligible for fuel benefit adjustments. However, they can disallow a proportion of fuel costs relating to personal use of a vehicle. Family members and the sole traders’ payroll may benefit, for tax purposes, by driving low emission cars. LTDs are eligible to claim the full capital allowance on company cars regardless of personal use by employees. Company cars can be offered as benefits in kind, but doing so can be expensive depending on a vehicle’s list price and omissions. LTDs can reimburse directors and employees for company use of personal vehicles. This is sometimes cheaper than running company-owned cars. Though LTDs can reimburse company car drivers for a fuel expenses related to business mileage, it is not advantageous for tax purposes to reimburse for personal mileage. Because mobile phones are subject to private use, the government expects a tax add-back on the sole trader’s tax return. Mobile phones can be provided tax-free to LTD employees and directors if contracts are in the company’s name. Only one tax-free mobile phone is allowed per household. Capital allowances are allowed for business computers; the ad-back allowance may apply on any computers with substantial personal use. LTDs can provide company computers tax-free to directors and employees if said computers are required to effectively fulfil individual duties. N/A to self-employed sole traders and partners. LTDs can provide a variety of tax-free benefits and incentives to directors and employees. They are eligible to receive tax relief on the cost of providing said benefits and incentives. Sole traders maintaining an office at home are eligible to claim a deduction for light, heat, and rates. LTD directors are eligible to claim up to £4 per week for work-at-home expenses without providing receipts. LTD directors can be fully reimbursed by the company for light and heat if working from home. Council tax and mortgage interest cannot be reimbursed. Sole traders cannot charge themselves rent for business use of a home. Company directors may establish a licence between themselves and their LTDs for the purpose of establishing a home office or using other space in the home or outbuildings for work purposes. Doing so allows the director to recharge a proportional amount of Council tax and mortgage interest. Any amounts realised from such licences must be declared as rental income under Self-Assessment tax rules.